On average and across the nation, American banks pay their customers about 0.09 percent interest on bank deposits, according to Bankrate.com (RATE). There's little we can do to get banks to pay us more, but there is a way to ensure you get paid the very best interest rate available on any given day. You see, 0.09 percent is just the average. Some banks pay more, while others pay less. And banks that pay more today may pay less tomorrow. 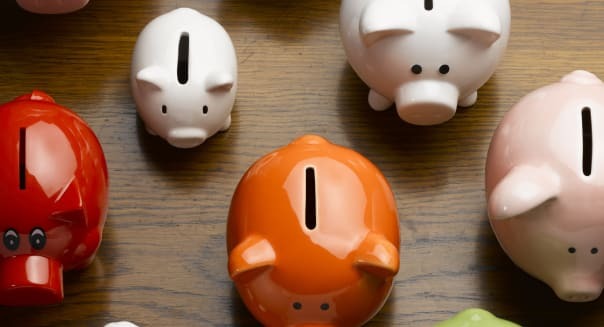 The key to maximizing your interest rate isn't so much having a lot of money in the bank, but making sure your money is in the right bank -- or banks. Maintain minimum amounts at each bank to satisfy your "minimum account balance" and also have enough money available for day-to-day bill payments. Set the maximum amount of money you want sitting at any one bank -- so as to not exceed the $250,000 limit insurable by the FDIC. And within these lower and upper limits, to shuffle your money among your several banks automatically, so that you always have the most money at the banks paying the most interest. Short answer: Yes. Well, it's at least as safe as using your existing bank accounts. This is because Max works as an electronic agent for you, and one able to conduct only very restricted tasks. In particular, Max is only authorized to transfer money from one of your bank accounts to another of your bank accounts. It can't send money anywhere else. So even if hacked, Max couldn't be used to send money to the account of, say, Internet Fraudsters 'R' Us, Inc. in Ulyanovsk, Russia. That would automatically be an unauthorized transaction. What's more, Max never takes custody of your money. It's always in one of your own bank accounts. And according to founder and CEO Gary Zimmerman, Max doesn't track your Web browsing with cookies or collect other personal information about you for use in marketing (or selling to marketers). Not so much as a Social Security number does it collect. So who might want to use Max, and what would they use it for? Zimmerman notes that the average Max customer keeps between $500,000 and $700,000 in cash, but some have as little as $50,000, and there is no minimum account size needed to sign up for Max. That still sounds like a lot of money -- and it is. But remember that this service is designed primarily for folks looking to (a) spread money among multiple banks, so as to keep under the $250,000 FDIC-insurance limit at each, while (b) maximizing profit. And how much profit are we talking about? Let's take a simple example: A customer with $500,000 in cash (average for Max), currently all kept at Citibank earning 0.12 percent -- and only half of it FDIC-insured. If that customer had an account with Citibank and Capital One 360 (paying 0.9 percent), Max would instantly recognize that the money was misallocated and split it evenly between Citi and Capital One 360 -- into two pots, $250,000 each, all FDIC-insured. Doing so would raise the annual interest earned on the deposit from $600 (at Citi only) to $250 (from Citi at 0.1 percent) plus $2,250 (from Capital One at 0.9 percent) equals $2,500 -- a 315 percent increase. Nothing in life comes free, and Max does charge a small fee: 0.08 percent per year. Applied to $500,000, that would be $400, reducing the net profit to $2,100. But that's still 3.5 times what the cash was earning at Citibank. What's more, if a customer had accounts at, say, Citibank, Capital One 360 and Barclays (paying 1 percent), Max would be able to do even better -- shifting essentially all the cash away from Citi to capture the better interest rates at Capital One 360 and Barclays, keeping it all FDIC-insured and generating annual interest of perhaps $4,700. After Max's fee, that would be $4,300 a year -- a 615 percent improvement. And if next year, Citi surprisingly decided to offer 1.1 percent, while Capital One 360 or Barclays cut their rates? Max would move the money back again -- without you even needing to lift a finger to capture the better rates. A lazy man at heart, Motley Fool contributor Rich Smith likes the idea of more money for less work. He owns no stock in any company named above. The Motley Fool recommends American Express, Bank of America, and Wells Fargo. The Motley Fool owns shares of Bank of America, Capital One Financial, Citigroup, General Electric, JPMorgan Chase and Wells Fargo, and it has options on Wells Fargo.